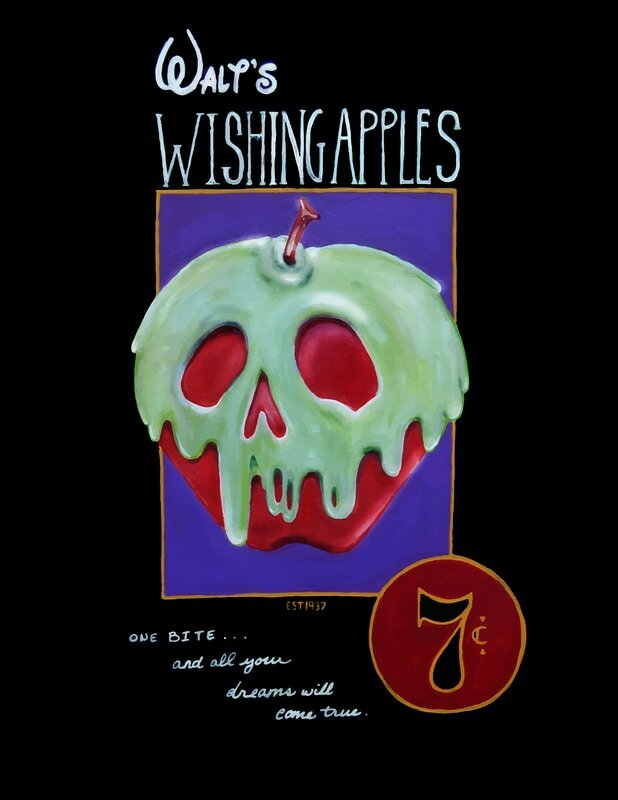 Walt's Wishing Apples, 2016; Acrylic on Canvas, 20in. x 24in. Bad Batty, 2015; Watercolor on Bristol and Matte, 11in. x 14in.